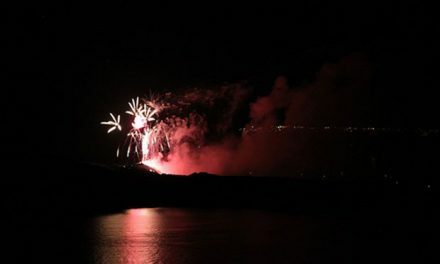 Today we talk about religious feasts on Santorini island. 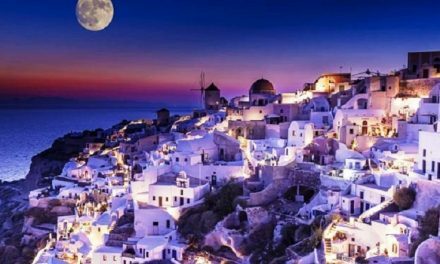 If the Greek population is well known for the big pride that shows towards its thousands of years old culture and for its joyful and lively character, it doesn’t surprise anyone that national and popular holidays are full of folklore, good traditional food, music, dance and songs. To those holidays all the people participate. I’ m not just talking about feasts, some celebrated for ages and others introduced again recently to attract tourists, but also and above all about cultural and musical events that are held from July to September. Regarding patronal festivals the most interesting element is without any doubt the tradition. As all over Greece, those feasts and festivals are celebrated with emphasis and passion. In some a few dozens of devotees take part while in others there is a flood of people who assist and participate. Starting from the previous evening on the altar some poles are used to run up the Greek flag and also the yellow one with the black eagle, symbol of the Byzantine empire. After the mass the priest breaks the consecrated white bread and a little bit later starts the procession with the icon of the saint. The feast ends with music, dance, traditional food and obviously wine inside the panigyrospito, a little building near the church or in the external courtyard, where tables and benches are placed for people to taste the local food. 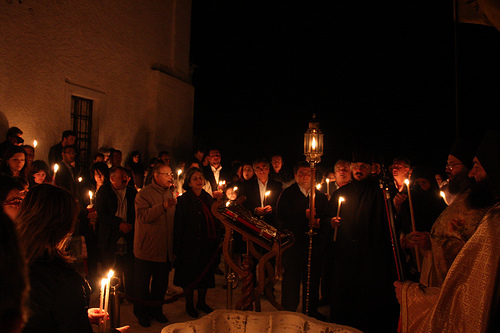 Among religious feasts Easter is surely the most important, in fact to the mass held in the Cathedral of Fira around 11.00 pm all the people take part. At the end the boys explode crackers and fireworks as a sign of joy and in the houses people beat the traditional red eggs against the other eggs. The red colour symbolizes the blood of Christus, while the egg represents the eternal life donated from Jesus to the men. 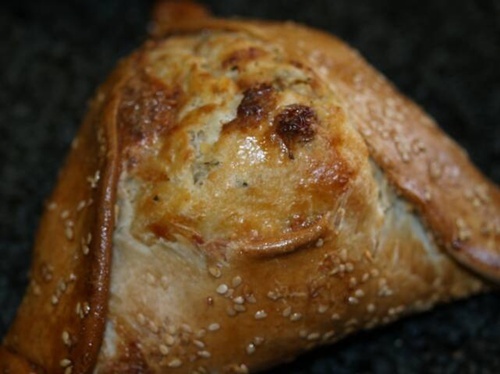 They taste the typical sweets, such as the flaoúna, a dougnut with the red hard-boiled at the centre , popular throughout Greece, or the melitínia, the typical speciality of the island: rectangles of pastry flavoured with sweet cheese, eggs and sugar. Easter day doesn’t coincide with Catholic Easter, because Greeks use the Julian calendar instead of Gregorian one. Also on the 15th of August they celebrate the “Virgin Mary Sleep”, the most important feast of the summer, instead of the Ascension. In all the curches dedicated to the Virgin Mary are celebrated 2 masses: one in the morning and one in the evening, but the biggest feast is in the old church of Panagía Episkopí, in Kamári, followed by music, dance and food as the tradition requires. 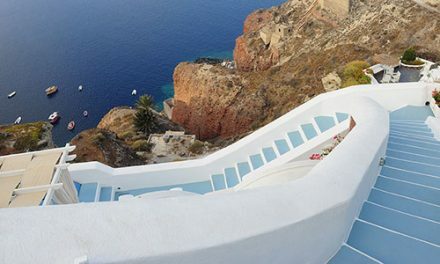 NextWin a weekend on the island of Santorini, join our contest!